Los Angeles DUI Analysis: Is the “Breathalyzer Equalizer” a Boon or a Bane for Road Safety? A new product has created an incredible amount of controversy and debate within the Los Angeles DUI prevention community. 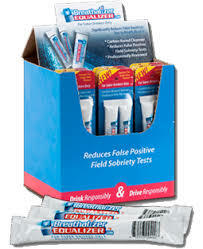 It’s called the “breathalyzer equalizer.” Developed by a DUI defense attorney and a state trooper, this product uses a powder to absorb “mouth alcohol” to make breathalyzer test results more accurate. Would such a product lead to “false hope”? Could this product cause harm? These questions may not be simple to answer. Martin might have a point. Let’s extrapolate from that logic. Imagine someone gets falsely convicted for DUI for having mouth alcohol, which pushes her BAC level above the 0.08% threshold. This leads to a conviction and unfair punishments, such as license suspension, jail time, etcetera. It also then leads to other indirect problems, such as the loss of her job, relationship issues, self-esteem problems and high insurance rates. That might sound like a “bridge too far.” But now imagine hundreds of these “close call” DUI arrests occurring every year — hundreds of lives torn apart for no reason. As important as it is to stamp out problems like DUI recidivism, it’s also important to prevent nonsensical or unfair DUI arrests. Of course, Martin’s point can also be correct. Depending on how this product is advertised and used, it could encourage drivers who are “on the bubble” to take a little extra risk. If you extrapolate that “little extra risk” over large time periods and large numbers of people, it could add up to something substantial and dangerous. The point is that with products like this – as with changes to DUI laws and policy – you can never really know what changes will lead to what results in advance. The good news is that your defense does not have to be confusing or complicated, particularly when you work with an experienced Los Angeles DUI defense lawyer at the Kraut Law Group. Connect today with attorney Kraut and his capable team today to build your defense.